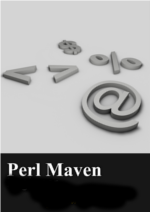 Previously I explained what the namespaces are in Perl, using the package keyword, but we have not seen the actual solution to the problem we encountered earlier. The main script is in namespace.pl and we require the other file providing full (or relative) path to it. In the other file which we called namespace_lib.pl is everything starting from the package Calc; expression till where we had the package main; earlier. This time we don't need the second package statement, but we need to end the file with a true value. 1; in this case. So basically we took the previous example, moved the content of the Calc package into a separate file, and instead of that we put require "namespace_lib.pl"; to load the new file. In this version we don't need to use prefixes for the function inside the file where the Calc namespace is defined. On the other hand we declare our global variables using my, because now we have use strict; and that forces us to do so. This way the variable $base will be global in the file declaring Calc, but it won't leak out to the file that uses it. Then we can call the add function of the Calc namespace in the main script using Calc::add(), the fully qualified name of the function. We can use the other function of the Calc namespace, including the validate_parameters function, but they not part of the main namespace, and thus there can be no collision with functions from other namespaces, including the main namespace. So if we have a library with a Calc namespace and another one with the Inventory namespace, then even if both have and add function, one will be called Calc::add(), and the other one Inventory::add() and then for anyone reading the script, including perl, it will be clear which add function we are calling. That's how we can put the code of a namespace into a separate file. But how can we turn this into a module? 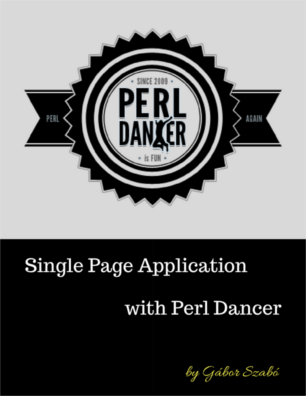 A module in Perl is just a file in which there is a single namespace (package) and where the name of the file is the same as the name of the package inside with the .pm extension. So in our case if we rename the namespace_lib.pl to be Calc.pm then suddenly we have a module. The script (we call now module.pl) has changed a bit. Instead of require-ing the external file using a relative or full path to it, we write require Calc; and perl will find the Calc.pm file and load it. The Calc.pm file, the module itself has exactly the same content as namespace_lin.pl had. Just the name of the file has changed. Seeing the require Calc; statement Perl will search for a file called Calc.pm in the directories listed in the @INC array. If the Calc.pm can be found in any of the directories listed in the @INC by default then perl will find the file. If the Calc.pm is located elsewhere then we need to change @INC. The statement use lib 'examples/modules'; adds the examples/modules directory to @INC which was needed when I recorded the screencast.